There are many types of windows available for narrowboats. If you are having a narrow boat built, you will need to know where you want the windows to be positioned on the narrow boat. It is possible to replace narrowboat windows yourself but it is a time consuming task that needs to be handled with care. Windows & Portholes… Choices, Choices! So now it’s down to the important decision of how to obtain the optimum amount of daylight into your boat whilst retaining the best visual impact from the towpath. In other words, will you have windows, portholes or windows and portholes? How many windows/portholes, where should they be positioned, what size should they be? A lot of the time it is down to the individual’s preference although in some cases what we want is not always practical so compromises have to be made, for example, a lovely brass porthole would look beautiful in the galley area however, when the cooker is on, ventilation is essential so a sliding or removable window should then be the chosen option. 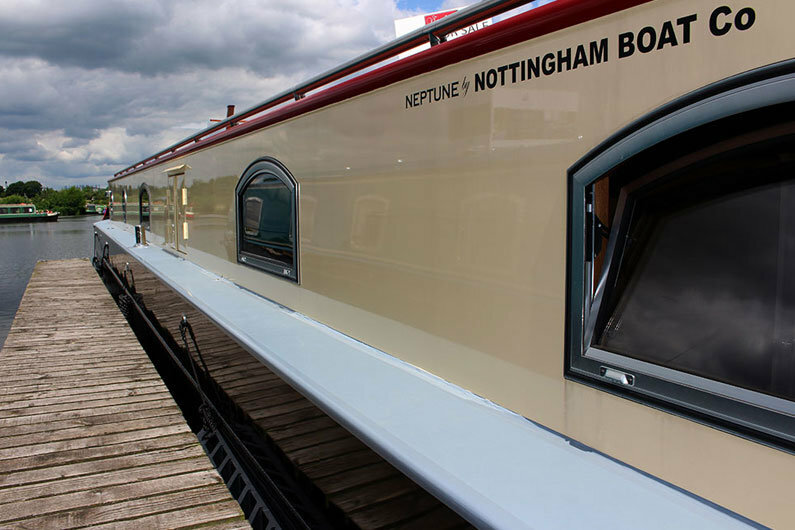 Options for narrowboat windows are many and varied, the choice will be yours and difficult. Screw in frames with visible screws, screw in frames with hidden fixings (concealed behind a coloured insert) or clamp in frames, fixed to the cabin using internal clamps to pull the window tight to the cabin side leaving a smooth, unblemished exterior frame. Mitred tops with radius bottoms, mitred all round, radius all round, top hopper, hopper slider, arch top etc. Standard hopper style windows consist of a fixed bottom pane of glass and have a smaller top glass which can be opened at sits back into side hoppers or onto specially designed window catches. 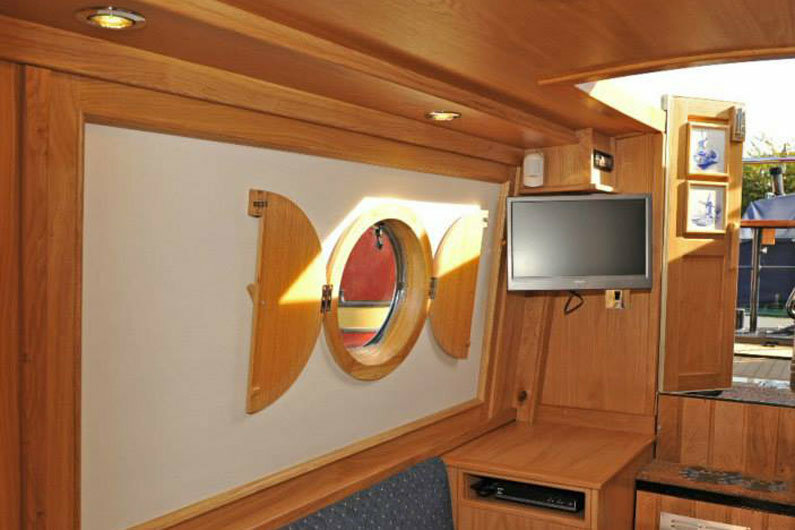 Consist of one fixed and one sliding pane of glass and are a good method of allowing ventilation within the galley area. Your chosen manufacturer will need to know which side of the boat you want to fit the window because the fixed pane of glass should be towards the front of the boat. These have the opening hopper at the top and the bottom section has one fixed and one sliding pane. Consists of a single pane of removable glass which when opened sit back into either side hoppers or special catches which not only act as locks but also when released, hold the glass in the open position. These windows have the added benefit of acting as an escape window in the event of an emergency. They are also extensively used in canal hire fleets but still look and operate well on private boats. All of the above, except sliding windows, are available as double glazed units which will retain heat, cut down on noise and help to eliminate condensation. 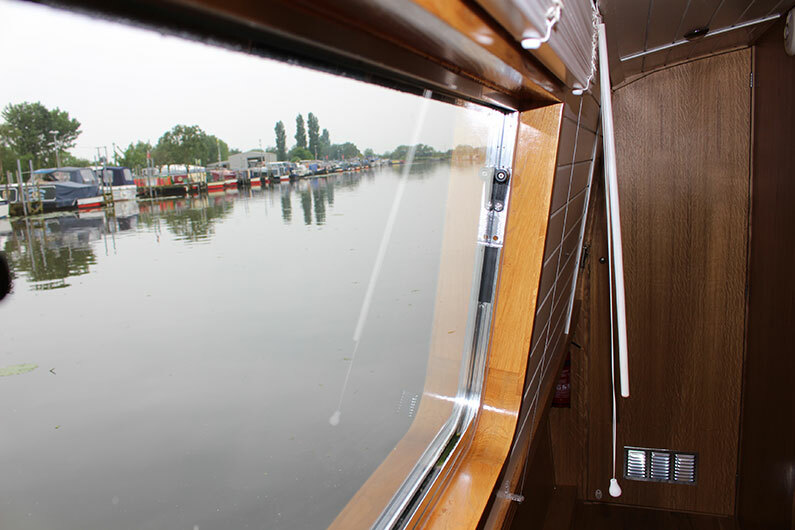 Thermal break double-glazed windows have solved the problem of making narrowboat portoles and radiused (curved corner) double-glazed aluminium frame windows with a thermal break in the frame. The thermal break means that less heat can be transferred between the inner and outer sections of the frame, which cuts down a large amount of condensation and heat loss. Early adopters of this technology report that condensation has all but been eliminated. While thermal breaks have been possible in square-edged windows, it has been an advance in making them fit in curved edges, thus retaining the style. The process uses a polyamide thermal insert between the inner and outer sections of the frame to give an extra thermal barrier. The windows have been able to hide fixings and can be supplied with radius or mitred corners, arch tops and in hopper style, fixed or fully opening and powder coated in any colour, or anodised. 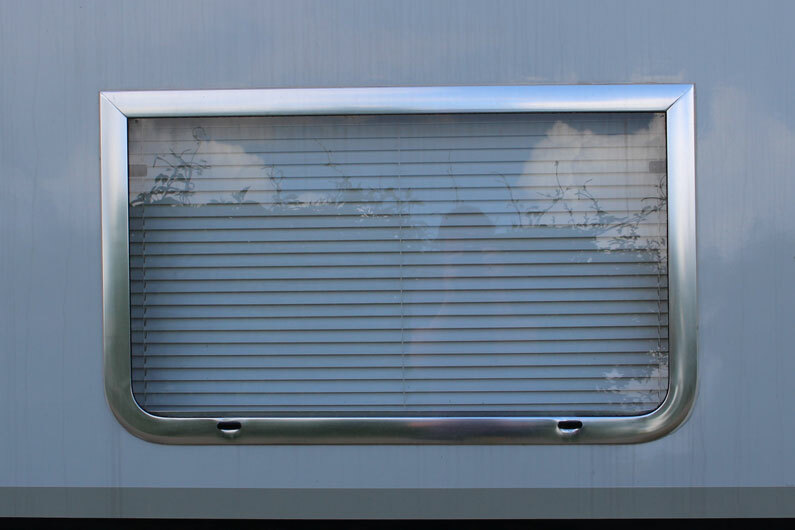 The thermal breaks would add around 15% to the cost of a typical narrowboat window, with the most popular size 36in x 21in. Just when you thought you had finished with the options you will find that you will perhaps require opaque (Stypolite) glass for the bathroom and maybe even tinted glass for all the other windows. Available in single and double glazed manufactured with a combination of radius and mitred edges. Window pane opens internally and is fully removable. Available in single and double glazed manufactured with a combination of radius and mitred edges. Top window pane opens internally and is fully removable. Available in single and double glazed manufactured with a combination of radius and mitred edges. Top window pane opens internally and is fully removable. One of the lower window panes fully slides open. Available in single and double glazed manufactured with a combination of radius and mitred edges. One of the lower window panes fully slides open. Available in single and double glazed manufactured with radius edges. Centre window pane opens internally. Available in single and double glazed manufactured with mitred edges. Manufactured as hoppers, Hopper sliders and full pane. 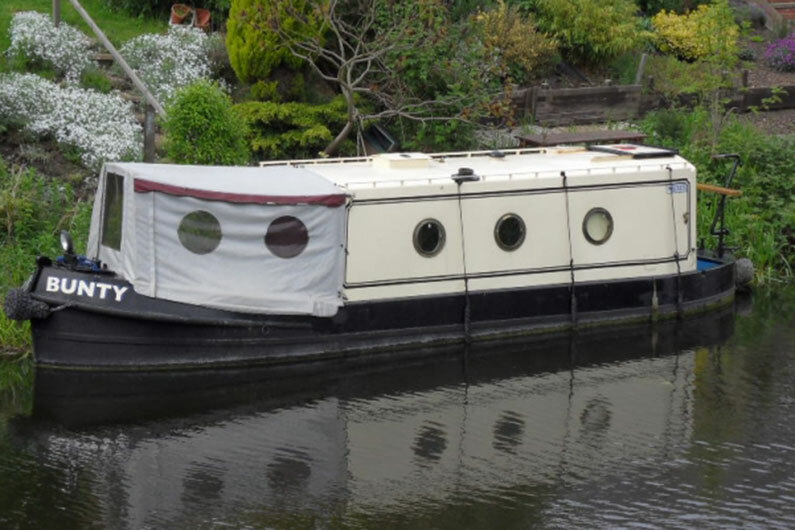 If the narrow boat is to be supplied as a “sailaway” then the shell builder will want to know where to cut the apertures for the windows, the sizes and the shapes. When designing the internal layout it is important to take into account the position of bulkheads and the thickness of the bulkhead material. It can be very easy to miscalculate and end up with a window or porthole aperture exactly in the middle of a where a bulkhead meets the cabin side!! It is imperative to finalise your narrowboat design to ensure the window positioning is correct. Unless your boatbuilder is supplying the windows/portholes they will need to know the sizes of the apertures to cut in the cabin side. Window manufacturers often have their own dimensions which can vary by a couple of millimetres in the width and height and various radii, for example 75mm, 80mm and 100mm. therefore it is a good idea to ask the window manufacturer for templates. When looking at window catalogues or websites be aware that the size shown ie: 36” x 21” is the aperture size cut in the cabin side and not the overall size of the frame. 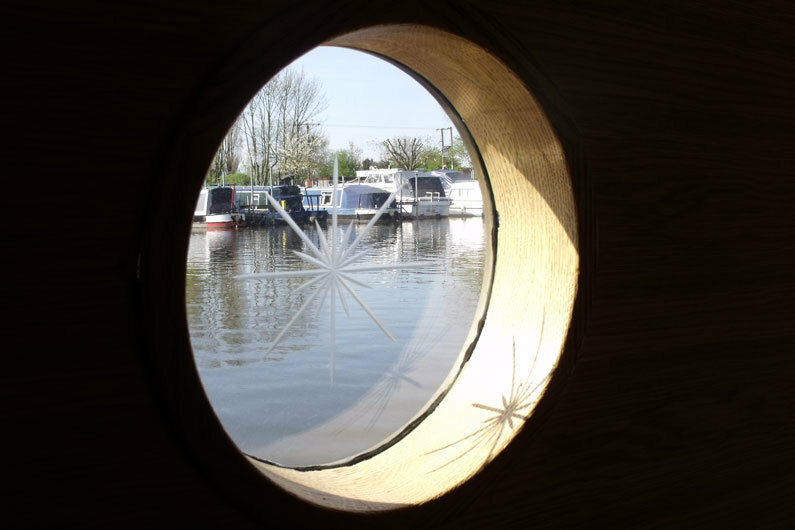 Many narrowboat boat builders these days use laser cutters to make apertures in hulls and cabins, therefore hole sizes can be very precise. 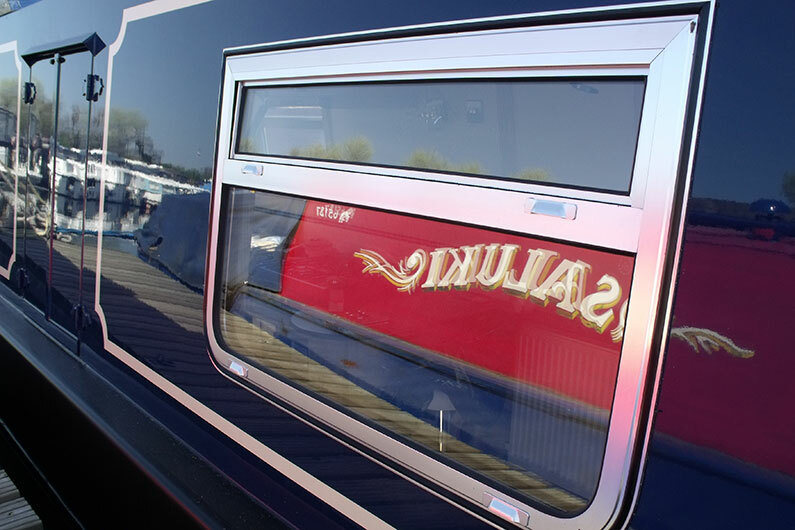 Advise your boat builder of your preferred window supplier and they will then check on the exact window sizes and allow a couple of extra mm on the hole dimensions to ensure a snug fit without forcing the window or porthole in. Trying to force windows and portholes into tight apertures will not only damage the frame but also cause it to distort and open up joints which can allow the ingress of water. Would You Like A Canal Boat Window Quotation? Windows & Portholes… Out With The Old; In With The New! Taking old windows out, whether to replace with new or to allow for a paint job to be carried out on the cabin can be time consuming and difficult. Windows may have been fitted using screws or rivets. In theory screws should have been stainless steel but in practice many windows are fitted with mild steel screws which will have corroded into the steel cabin side and will either break off or have seized solid. These screws and the rivets, will have to be drilled out before attempting to remove the window. Once the fastenings have been dealt, with take a sharp knife and score around the joint between the frame and the cabin. If the windows are to be refitted extra care will have to be taken with the next step. Using a wide, thin blade, ie: a scraper, ease the blade between window frame and cabin side and as gently as possible, lever the frame outwards slightly before moving on doing small sections at a time all around the window, each time easing the window outwards until, eventually the frame is free from the cabin side. If the frame has been damaged at all during this process the window will be very difficult to reseal to the cabin side. 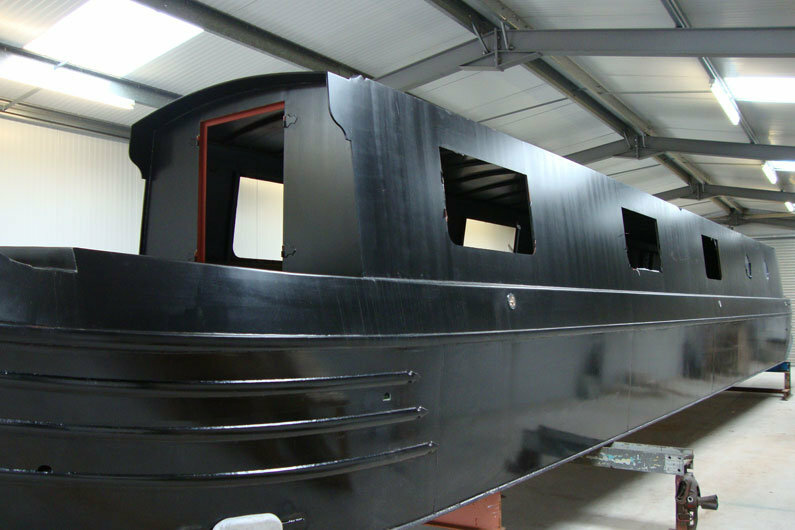 Ensure that the cabin side around the aperture has been prepared to take the window by cleaning off all the old paint, rust and corrosion and applying suitable primer, undercoat and topcoat to the paint manufacturers specification. All of the old adhesive must be removed from the back of the frame to leave a smooth face to allow the new sealant to form a watertight seal. Apply your preferred seal to the rear face of the window frame and offer the window up to the aperture. Once the frame is in position use either stainless steel screws or aluminium rivets to fix the window in place, working your way around the frame in stages, tightening gently so that the window is not forced in and distorted. If a sealant has been used it will be squeezed out and can be trimmed back after a day or two with a pointed piece of wood or very carefully, with a knife. Sealing windows into the cabin side has to be one of the most important jobs. Poorly fitted windows will allow water in and potentially ruin what should be a beautiful interior with water marks. There are various options when it comes to choosing a suitable waterproof material to act as a gasket between the window frame and the cabin side: Silicone, Mastics such as Butyl or Arboseal and an adhesive closed cell foam tape. All of these have their own benefits: Silicone comes in various forms , some which can be painted over and others which cannot, butyl which is used extensively within the caravan and motorhome manufacturing process, Arboseal, which is widely used within the building industry and is now also widely used by narrow boat builders because as the fastenings are tightened the Arboseal is compressed and fills any gaps especially if the cabin side is not perfectly flat. The adhesive closed cell foam tape is becoming very popular particularly as one side is adhesive and the other side is a plain foam which, when compressed, forms a seal between frame and cabin side but has the benefit of allowing the window to be easily removed whereas the sealants can make the windows difficult to remove and all old sealant must be taken off and replaced prior to refitting. In many cases, the act of taking a window out will distort the frame which when put back, will not seal and looks unsightly. Note that the window sizes always relate to the size of the aperture in the cabin side. If your windows have any corners with a radius that your new windows will have the same radius. Check the spigot depth of the new windows to make sure that they fit directly to the existing lining. The spigot is the section of frame which fits through the cabin side and the measurement is taken from the back face of the window frame to the edge of the inner frame. Double glazed windows have a deeper spigot than single glazed windows and therefore adjustments will have to be made to the existing lining. If using new frames which are to be screwed in from the outside the fixing holes will not match up with the existing fixing holes. The old holes will have to be filled and new ones drilled. Hull Protection… Why is it important? 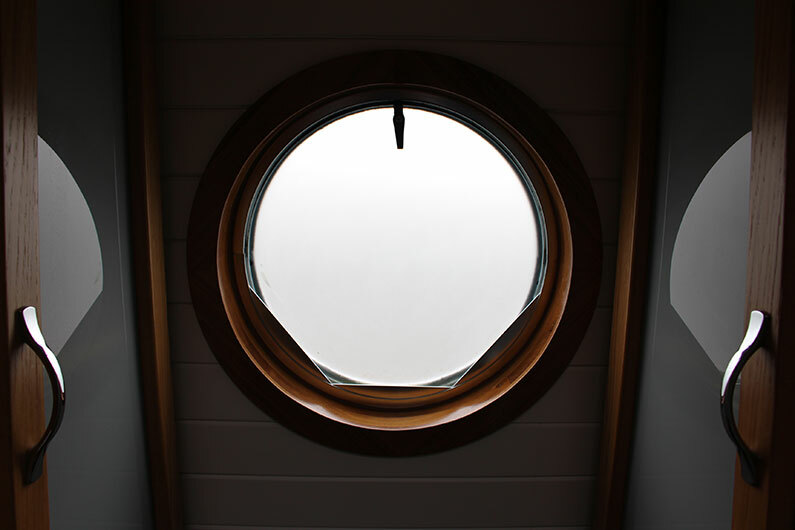 Windows & Portholes… Blinds, Curtains or Bungs? The choice of window dressing for a narrowboat is huge. Porthole bungs are designed for plugging round portholes. Specialist companies offer customised blind manufacture and a myriad of suppliers will make curtains. Bungs – these are great for total black out in portholes. Some manufacturers also produce these to go in to door windows. 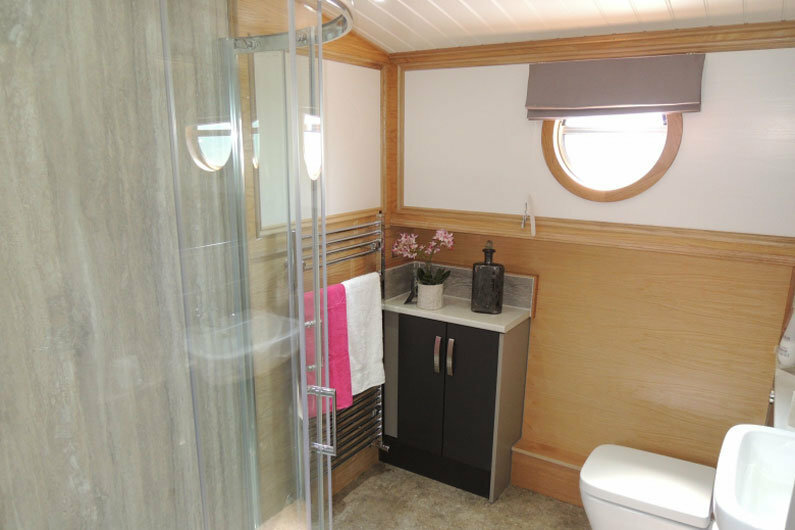 Curtains – the choice of fabric and colour is a major benefit for choosing curtains on your canal boat. Often these can be purchased ready to hang in your windows. 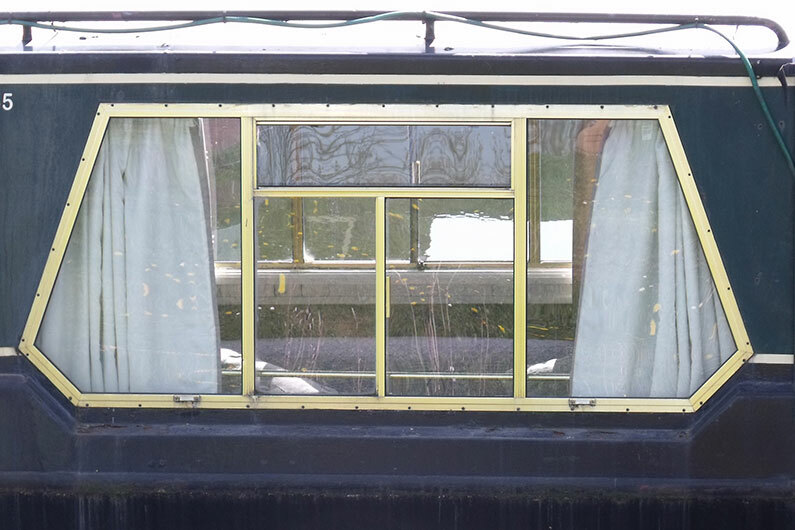 Due to the sloping sides of a canal boat you will need to consider how they are secured, often a pole/rail is used along the bottom of the window to secure the curtain in place. Blinds – here you have the choice of Roman, Venetian or roller blind. Unless you have large windows on your canal boat, Roman blinds are unlikely to be the ideal solution as you lose too much light when the blinds are raised due to the pleating. Roller blinds, similar to curtains can easily be secured using a rail/pole at the base of the window. 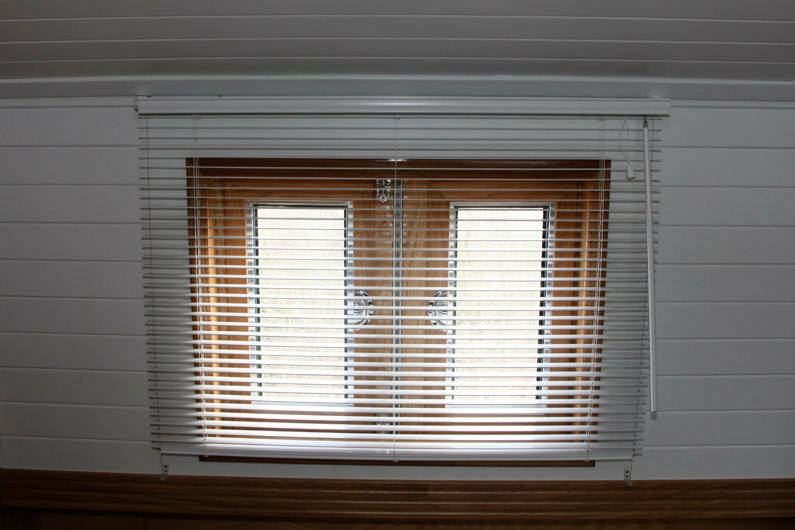 Venetian blinds are ideal in providing privacy without blocking all light out and can be angled as such that you can see out but walkers on the towpath can’t see in! There are various methods available to secure the Venetian blind to follow the contours of the boat. Shutters – these are most commonly seen over portholes, but can be used on standard windows too. Similar to a window bung, the shutters provide a black-out option.